Which hotels are closest to the Palm Beach airport? Where to stay near top Palm Beach attractions? What kind of hotels are in Palm Beach? Which hotel chains are in Palm Beach? Families will find kid-friendly activities in Palm Beach, and visitors give high marks for the beaches. 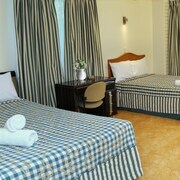 Relaxing and walkable, this city also attracts tourists with its spas. 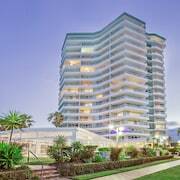 Sea World, Surfers Paradise Beach, and Cavill Avenue are some of the top sights around the area. Favorite family attractions include Mallawa Drive Sports Complex and Palm Beach Pirate Treasure Island Playground. 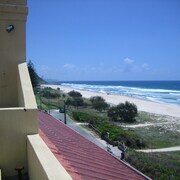 In the area, you'll also find Sea World and Surfers Paradise Beach. 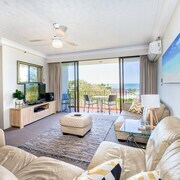 Surfers Horizons Resort - With a stay at this 4-star apartment, guests can enjoy access to an outdoor pool and free parking, along with an in-room kitchen. It's a favorite with Expedia travelers for its beach locale. 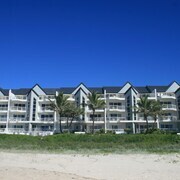 Casablanca Palms on the Beach - Our customers like the beach locale and pool at this apartment. 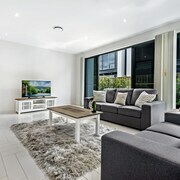 With a stay at this 3.5-star apartment, guests can enjoy access to an outdoor pool and free parking, along with an in-room kitchen. 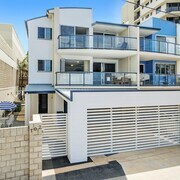 Currumbin Sands Holiday Apartments - This 4-star apartment features 2 outdoor pools, free WiFi, and free parking. Expedia customers like its family-friendly amenities and beach locale. 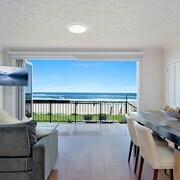 Outside the city, popular places to see include Cavill Avenue, located 8.1 mi (13 from the city center, and Wet'n'Wild Gold Coast, which is 16.6 mi (26.6 away. Palm Beach boasts a location on the northernmost tip of Sydney’s coastline, sitting on some of the most exclusive beachfront in New South Wales. 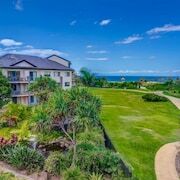 About 50 kilometres from the centre of Sydney, this beach suburb is on a peninsula, granting plenty of access to both land and sea. Whether you want to catch some surf in the Pacific Ocean or take a ferry to Ettalong for a leisurely afternoon picnic, Palm Beach is worth a visit. There’s no shortage of relaxing and recreational activities to enjoy during your stay in this idyllic destination. Palm Beach’s sandy area offers a near-endless amount of action, including surfing, scuba diving, and sunbathing, but this town is considered a calm and peaceful retreat in comparison to the more rambunctious beaches to the south. If you’d like to perfect your putts and deepen your drives, the nine holes of the Palm Beach Golf Course serve as an incredible setting to strengthen your golf game. And the Barrenjoey Lighthouse, which marks the northernmost area of this enclave, is a beacon for bushwalkers and an awesome spot for sightseers to snap a few photos. Back in the village of Palm Beach, you’ll find an assortment of fine restaurants and unique boutiques. And thanks to the stunning views afforded by this placid peninsula, you might even catch sight of some humpback whales in the winter months when the massive mammals migrate through this part of the Pacific Ocean. 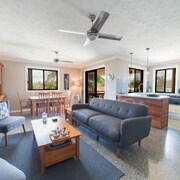 Outdoor aficionados may also wish to embark on a brief ferry ride to Ku-ring-gai Chase National Park, which includes the Basin campground and offers encounters with local wildlife. In many travellers’ eyes, the Sydney area hosts an ideal climate year-round. Summer can get a bit toasty, but temperatures rarely reach levels of discomfort, while winter remains relatively mild all season long. Because of its proximity to the Pacific Ocean, Sydney doesn’t experience dramatic changes in temperature from one season to the next. The differences in temperature tend to be a bit more detectable, though, in areas along the North Shore including Palm Beach. Thunderstorms in Sydney occur an average of 30 times per year, and you can expect rain to fall more frequently in fall and winter. 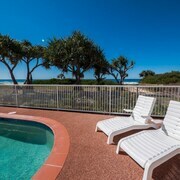 Enjoy a beachside holiday when you book a Palm Beach, NSW accommodation on Expedia.com.au for your next getaway. From spacious resorts and apartment rentals to modest motels, you can find a place to stay in Palm Beach that meets your budget and other travel needs. 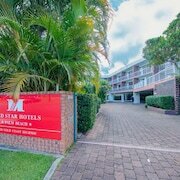 Most hotels are near the water, and many feature private balconies to allow for spectacular views of the ocean or calm Pittwater. 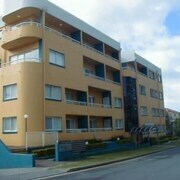 As a suburb of Sydney, Palm Beach enjoys the same climate as the capital of New South Wales. Between December and February, the temperature usually falls between 18 and 25 degrees. While this makes for ideal weather to play on the water, it also means that you will be competing for space with a bounty of other travellers who had the same wise idea to head to Palm Beach. The area is a bit more secluded in the winter when the temperature is about 7 degrees. This is also the best time to whale watch. Whether you want to take in a leisurely kayak excursion or get an adrenaline rush on your next holiday, Palm Beach is waiting for you. 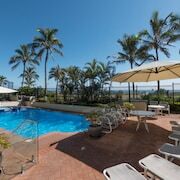 After a day of fun in Sydney, or as an alternative to a big city stay, Palm Beach Hotels in Sydney offer a sweet retreat to cap off your day in New South Wales. 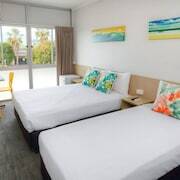 Book your accommodation here on Expedia.com.au, where you have access to our large selection of hotels and are protected by the Price Match Guarantee. What are the most popular hotels in Palm Beach? 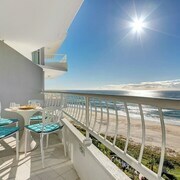 Are there hotels in cities near Palm Beach? 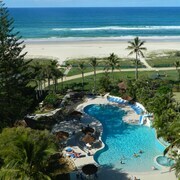 Explore Palm Beach with Expedia.com.au’s Travel Guides to find the best flights, cars, holiday packages and more!